﻿ Hotel Chicago West Loop, Chicago (IL) | FROM $71 - SAVE ON AGODA! "We were traveling into the city for a concert and this hotel..."
"The room was clean and quiet." "It is located close to the concert venue and great local restaurants ." 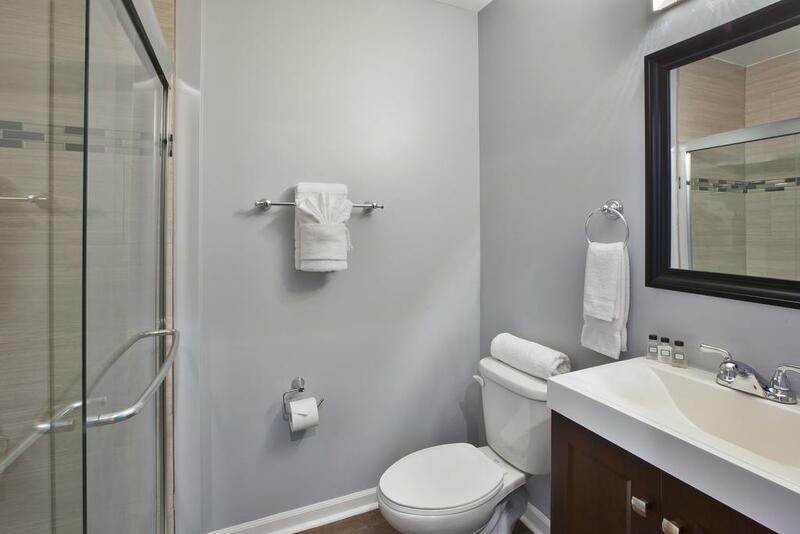 "The room was very clean, ;"
"The staff was very nice and the hotel was located in a great..."
This West Loop Chicago hotel is located in the middle of the UIC Medical District, only 600 metres from the United Center. 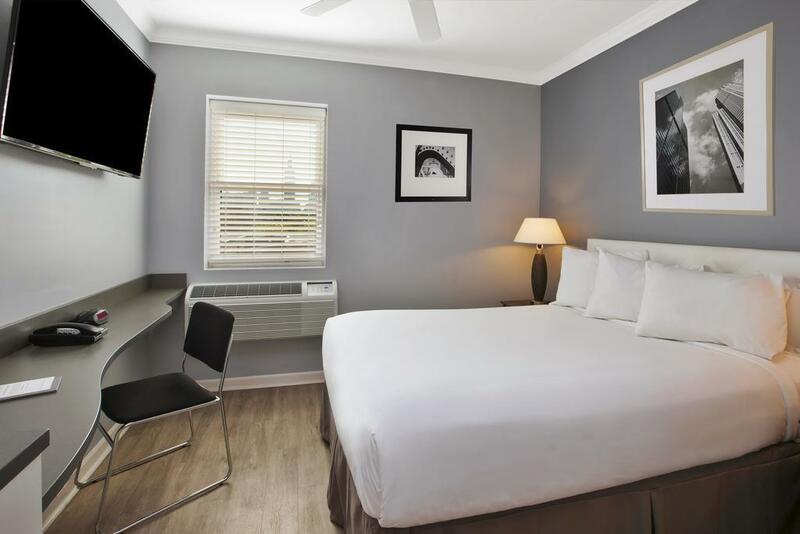 Complimentary WiFi and beds with memory foam mattresses are featured at the Hotel Chicago-Illinois Medical District. 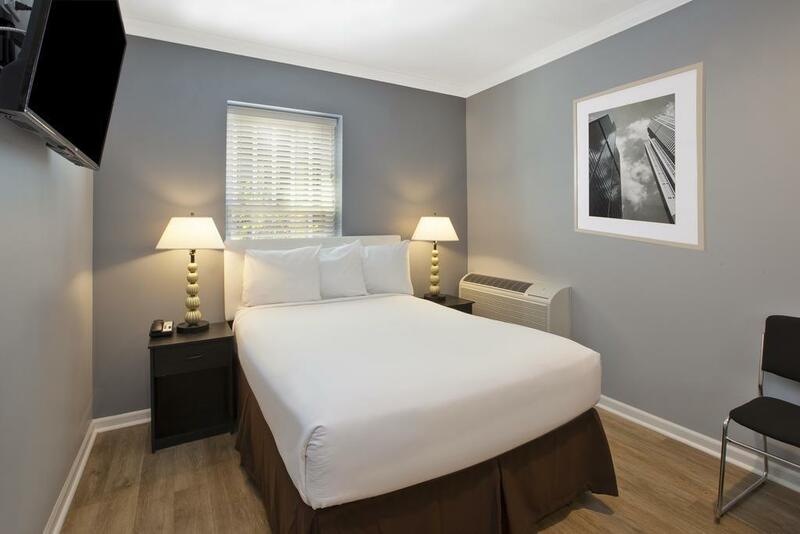 A flat-screen cable TV, coffee machine, microwave and work area are featured in every guestroom at the Illinois Medical District Hotel Chicago. Some spacious deluxe rooms include extra closet space and a seating area. Guest convenience is top-of-mind at this property that features a 24-hour front desk, private parking on-site and a 24-hour fitness centre. Willis Tower is 2.6 km from Hotel Chicago Medical District, while Chicago Board of Trade Building is 3 km from the property. The nearest airport is Midway International Airport, 12 km from Hotel Chicago-Illinois Medical District. "The hotel is located in a great location"
Hello Mavin! Thank you for choosing Hotel Chicago West Loop for your most recent visit to Chicago. We are happy to hear that our room accommodations and our staff met your expectations. We hope to see you again, the next time your travel plans bring you to the Windy City! Thank you! We were traveling into the city for a concert and this hotel was perfect for what we needed. It is located close to the concert venue and great local restaurants . 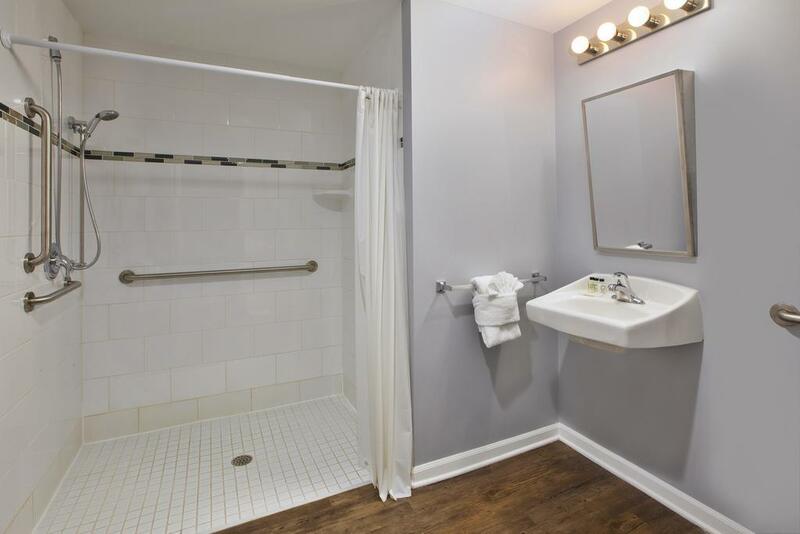 The room was very clean, ; it was tiny but that fit our needs so it was not an issue. There is a fenced in parking lot for guests to use. We will definitely be staying here again! Rooms were EXTREMELY too small! Location was off the beaten path, Very unsympathetic and rude front desk person. I booked a “Double” room for my friend and I only to find out that there were no “double” rooms just twin sized beds or bunk beds as options! I don’t mean they ran out of double rooms, THEY DONT EVEN OFFER THEM!. Also there is little to NO parking. I asked about the small lot that the hotel owns and I was told that it was first-come, first-serve but they actually give out parking passes and apparently who ever gets the pass parks there for the duration of their stay no matter if they leave for an min or a hour. Leaving everyone to park on the streets of Chicago or pay $16 per park at the garage next door that is NOT 24 hours. I’ll never stay again! I really like the location as it’s right next to the United Center. I was sold a ‘Double Room’ with two beds and upon arriving learned that there is no such room. They only offer single beds in full, Queen, and king or a bunk bed. Unfortunately the queen and king beds were unavailable and so my friend and I had to share the one small bed. At first glance the hotel is really nice looking and modern however the upgrades made were cheaply done. The baseboards were really dirty in our room and you could tell the wood laminate was cheap stick-on. The staff was friendly enough and overall we had a decent stay. I was disappointed there was no form of breakfast offered and the coffee machine was terrible. My point is for a $200+/night room, I expected more from Hotel Chicago. I will definitely explore other hotels or opt for a much cheaper air b&b in the future. The advertised 24-hour gym was closed. The "coffee-tea" area in the lobby had limited selections and was smaller than the very small rooms. The showers were hard to get in to and very tiny. The bed was hard and uncomfortable. There was no closet in the room -- there were hangers and a rack over the side of the bed and the ironing board. But, the staff was friendly and the check-in process was simple. For the purpose of sleeping in a quiet place with minimal fan-fare near enough to down-town it worked. But don't expect to be impressed. Could be very nice, but not clean. Only feedback would be for the hotel to provide blankets in the rooms. The check in was smooth and easy. Front desk receptionists were consistently friendly and approachable. I was staying at this hotel for its proximity to the United Center and was very pleased with the location. However, parking was very limited in the hotel lot and cleaning services came late in the day which may have been an issue if we had run out of something. Overall though it was definitely a very good experience and I would stay at this hotel again. The room was nice, everything was pristine at check in, and it served it’s purpose at a great value. The complementary coffee etc. was definitely a nice touch! This hotel was a huge mistake. 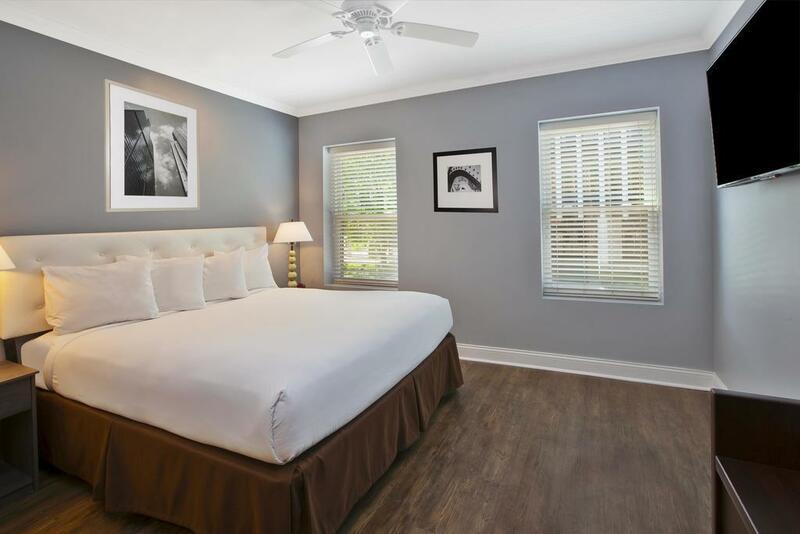 I chose it because it seemed like a great deal- it has only positive reviews online and it was a decent price per night (for a seemingly nice hotel in the Chicago area). I don't know how it has all these greats reviews, though! The room was dirty. It had wood floors that felt almost slimy on bare feet, and when I splashed some water in the bathroom and wiped it up with a towel, the towel was BLACK with the dirt. Really disgusting to see! The pillows were incredibly lumpy and the headboard banged against the wall (which was coveted in scratches as a result). The two bedside tables look like something in a college dorm room- cheap laminate fake wood that was warped beyond belief. I dropped a make up brush on the floor and when I picked it up it was dusty and dirty. Our room was perpetually damp, probably because the window looked into the parking lot so we couldn't open it and still have privacy. The staff were nice enough but this place was disgusting. I was within walking distance to the RUSH Medical Complex where I was working. The room was adequate, not extravagant. The room was clean and quiet. Staff was not intrusive, but always friendly and helpful. Suitable lunch and dinner dining was available across the street. The only thing lacking as an on-site or nearby breakfast option. An on-side "market" would have been nice to purchase a quick snack - even if from a vending machine. This hotel had everything I needed, but not everything I would have liked. Still I would stay there again, given the cost was reasonable and the location was perfect for my work needs. If I was to visit Chicago for vacation, I would choose a different location with the amenities I would enjoy for a relaxing time.